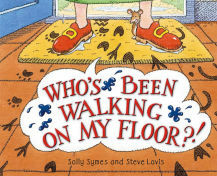 "Who's That Walking on My Floor?" asks Mrs McDonald. 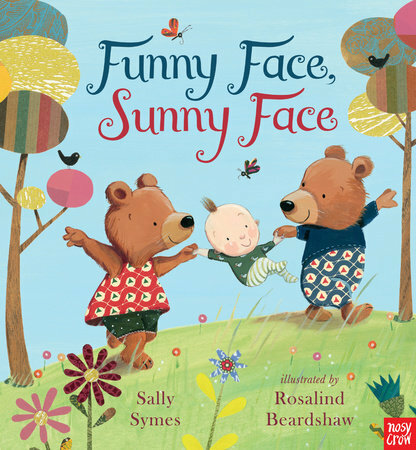 A pop-up picture book with footprint trails to follow, hiding places to discover, and fabulous pop-ups! 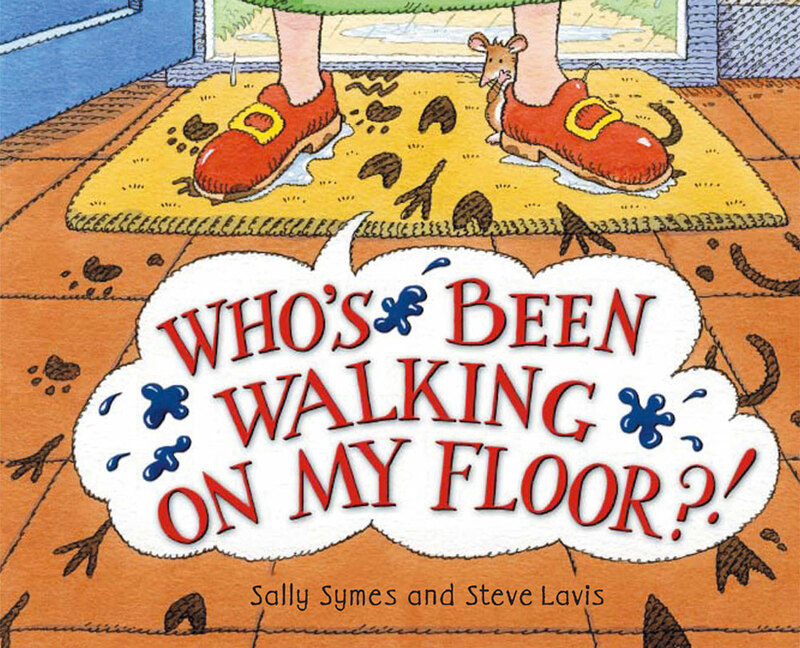 Written by Sally Symes. Illustrated by Steve Lavis. Paper engineered by Corina Fletcher. Whose footprints lead to the bathtub?